If you don’t know Hoodie Allen by now, today is your lucky day! 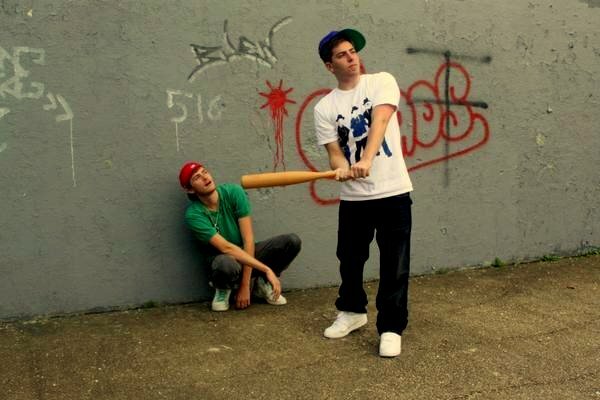 This NYC hip-hop duo which samples a vareity of music from indie (in “Your Are Not a Robot” featuring Marina & the Diamonds) to hip-hop music (with “Evil Women” featuring Mike Posner) as the basis for its songs. Hoodie Allen’s sound instantly reminds me of Chiddy Bang with a white rapper. If you like Hoodie Allen as much as me, then you should be happy to know that come September, they will release an entire album. It will be titled Pep Rally and will feature even more creative samples than the ones mentioned above. In follow up to thier first single “Your Are Not a Robot”, Hoodie Allen released his second single yesterday, “Words of Wisdom”, sampling one of my favorite up-and-coming rock bands Two Door Cinema Club, basically the second coming of Phoenix.